Brownwood Area Chamber of Commerce Holds Ribbon Cutting for Barron’s Auto Enterprise, Inc.
Pictured are Barron’s Auto Enterprise Inc. staff along with the Brownwood Area Chamber of Commerce Ambassadors. 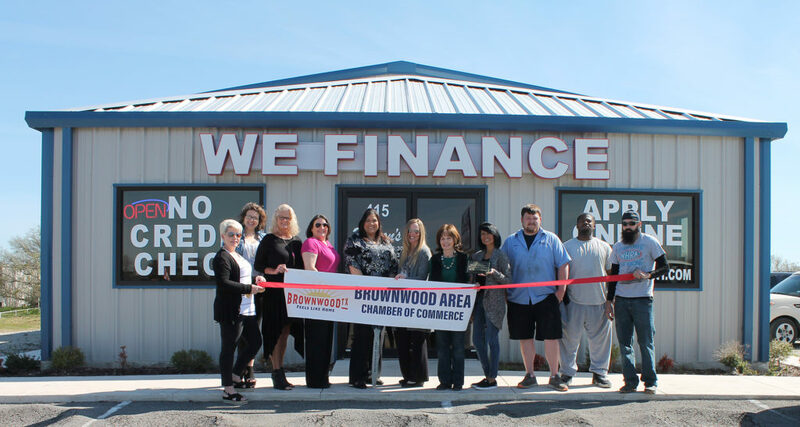 The Brownwood Area Chamber of Commerce held a ribbon cutting on Thursday, March 21st for Barron’s Auto Enterprise Inc.
Barron’s Auto has been in business almost 30 years with 8 locations. They offer in house financing and warranties. They also offer the ability to purchase a car with only liability insurance for qualified customers.